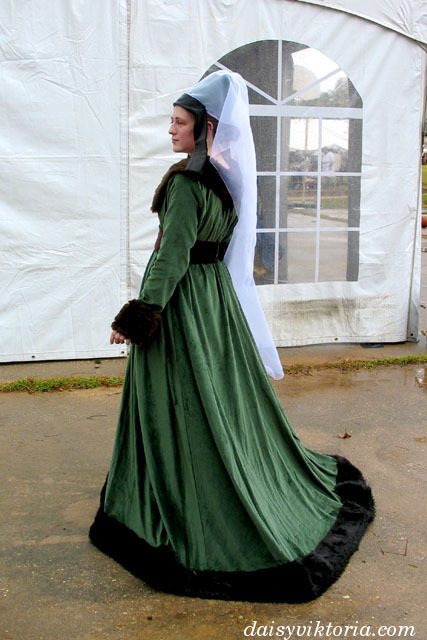 This is a court dress from 15th century Burgundy. 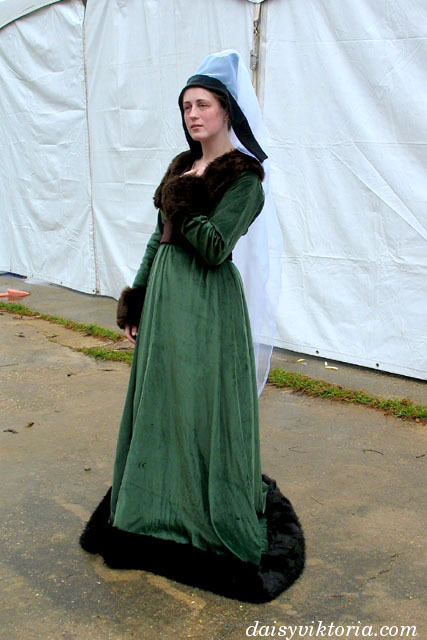 It is worn over a kirtle and chemise, and the outfit includes the dress, belt, placket, and hennin. 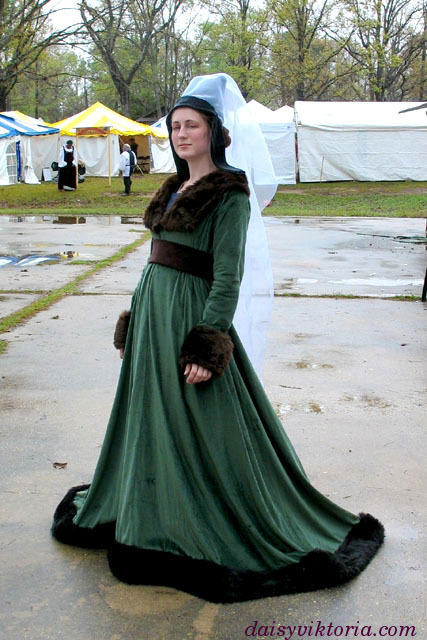 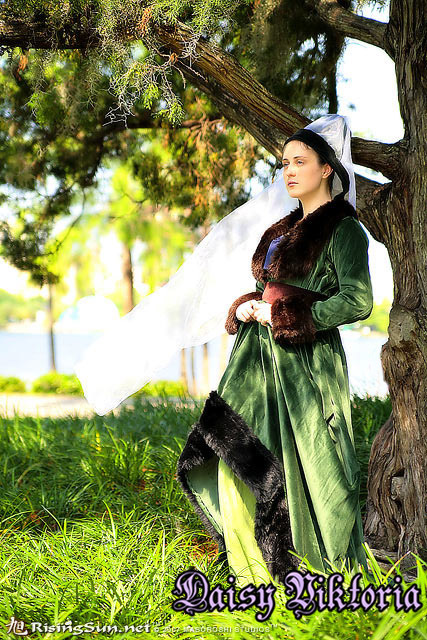 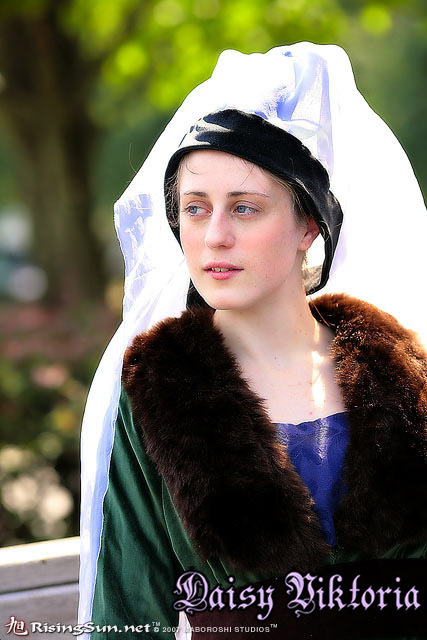 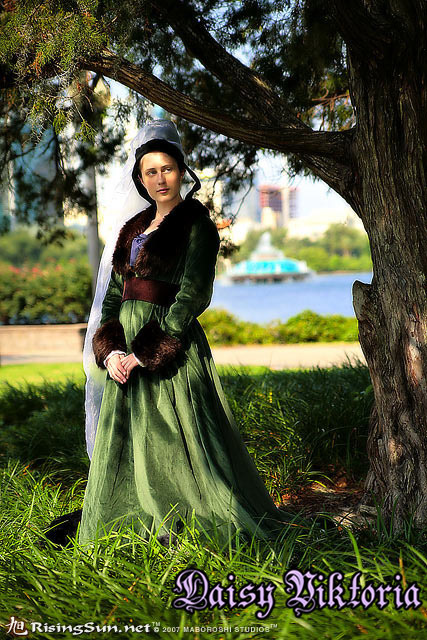 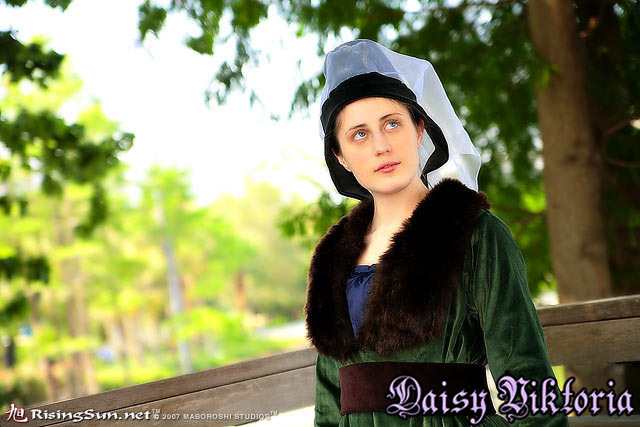 The dress is made of velveteen fabric with fur trim, and the underclothes are linen. 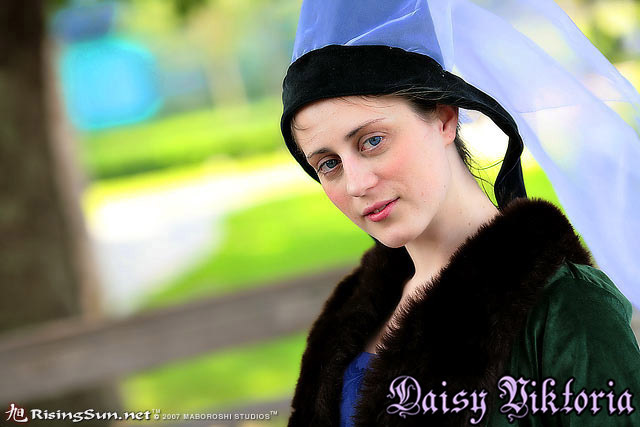 The hat is a truncated henin, and the shape is supported with buckram and wire.